All non-members who wish to participate in a club sanctioned activity are required to complete a waiver. To download a copy of the waiver by clicking here. http://www.torontotriathlonfestival.com/train/key-training-points for race tips and FAQ's from race organizers. 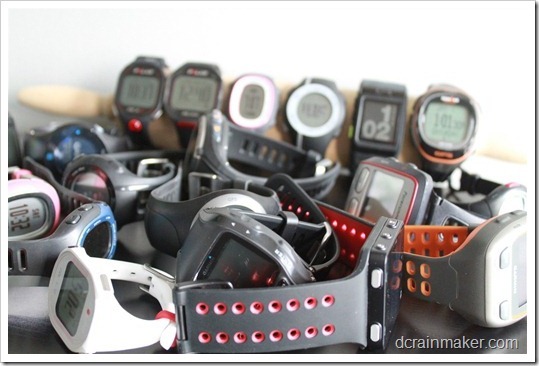 Who says I have too many watches? For all of you gear enthusiasts, Ray Maker of Washington D.C. has become the go to website ( www.dcrainmaker.com )for all gear related information regarding triathlon. You will find in depth reviews of virtually any current piece of technical equipment, and the archives cover many years of past products. He posts news about upcoming developments, as well as industry trends and recent manufacturer announcements. It’s an excellent resource if you are considering getting triathlon gear. In this video Sage Rountree discusses the importance of the post-workout ice bath, which helps reduce inflammation and flushes waste from the muscles. She also offers tips for when and how to implement ice baths into your workout routine. Kevin sent the club this link as a follow up to the running clinic he hosted in January 2012. Here's a veritable "sandbox of resources" and follow up we hope you find useful in advancing your understanding of speed training, and in planning, executing and evaluating your speed workouts in the future." Eccentric muscle strength training of the hamstrings for running. Eating for Better PerformanceTo be successful in triathlons you have to be on top of your nutrition for training and racing. http://triathlonmagazine.ca/2011/08/sections/training/eating-for-better-performance/. Are you intersted in starting a new section on the website called "Recipes for Triathletes"? If so email us at webmaster@torontotriathlonclub.org and of course don't forget to send along your favourite recipe or recipe link! So, you've decided to try a triathlon in 2013, here are some useful links to get you started. Come join us at our next event to meet other newbies and get some tips from seasoned pros. When was the first triathlon? What are the rule of the road for a triathlon?